What really goes on in the mind of an 11-year-old? Well according to Pixar it’s a lot like the plot of Wreck-It Ralph but with memories and emotions. There is something to be said for the genius behind Inside Out’s execution. It’s smart, it’s cute, it’s funny, and even – in a moment reaching to emulate Up’s infamous montage – it’s going to make you bawl. But what it isn’t, is fun. Where Pixar has become synonymous with blending the smarts of adult humour with the joy of childhood, it’s often taken for granted that with each of their new films comes a foray into our inner child. The irony here is that although the films spends a lot of time inside the mind of a child, everything feels really rather grown-up. Inside Out is a film that most children will struggle to stick with first time around. This isn’t helped any by attempts at sandwiching a mis-matched ‘road movie’ in halfway through the film. These moments feel factitious and only serves to slow the pace of an already trying storyline. 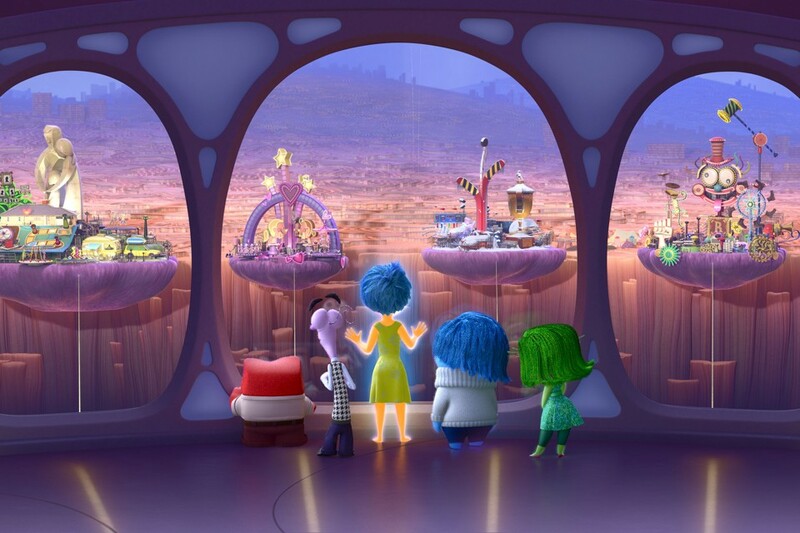 For something that feels so damn clever, Inside Out takes a dumb route to pad out its runtime. That’s really the only qualm one could have with the film. It’s brilliantly acted, it’s beautifully animated and it’s razor-sharp gags (both spoken and sight) are spot-on. 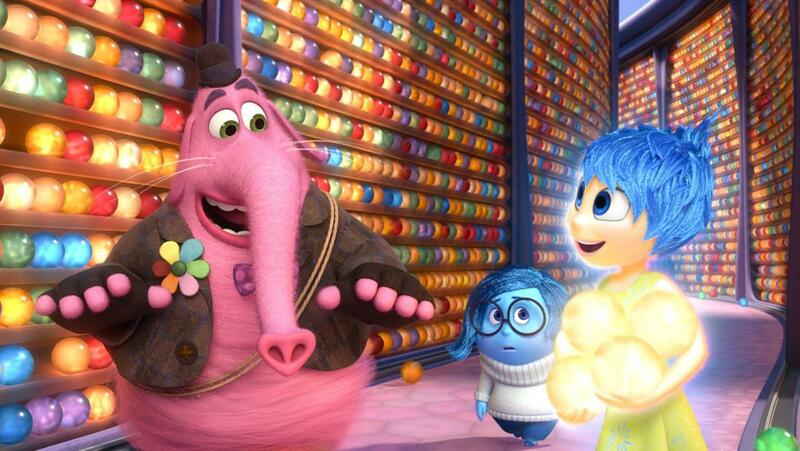 If Cars is Pixar at its most adolescent, then Inside Out is Pixar at its most mature. I can’t see Disney selling many toys off the back of this one, but i can see a lot of adults kicking around the office with little red, green or blue faces beaming on their coffee mugs. That, and a lot of Disney-led amateur psychology going on between consenting adults. Disney blu-rays are not renowned for their special features. For films that are born from such attention to detail, very little of that process ever gets to see the light of day. That is, unless you are willing to fork out more money for the 3D blu-rays. In which case, these discs are often showered with special features. 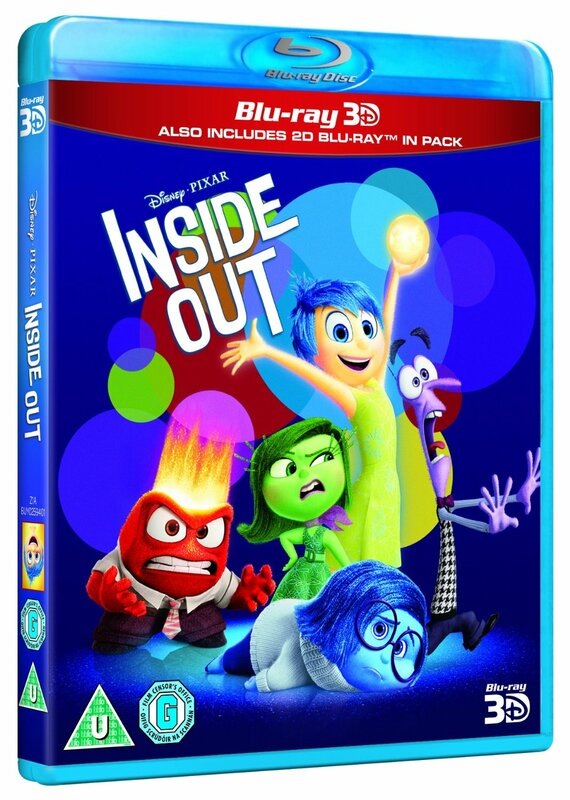 The blu-ray for Inside Out is no different. First on the standard blu-ray disc comes the short film Lava, which aired before the film during its theatrical release and surfaces here for further viewings. Next up is new short, Riley’s First Date? Which not only hammers home just how much Inside Out was indeed aimed at adults, but also gives a sweet little accent to the finished film. Both are part of a long line of brilliant animated shorts from Pixar. Paths To Pixar is a brief celebration of woman in animation. Which is a nice sentiment, and is a great love letter to the talented staff at Pixar, but i didn’t realise that Inside Out was a story specific to the female experience? And Mixed Emotions is a fly-by-night making of that feels more like an advert than a documentary. The true gem is the Director’s Commentary, which although rather calculated; “we are going to talk about character, story and cinematography,” is a rich and informative journey into the making of this gorgeous little film. Pixar have done it again. Proof that original properties in Hollywood should still be a focal point. The 2D blu-ray offers a few breadcrumbs into how great films like this are made, but only the truly patient or wealthy will be rewarded…if only you can focus long enough to listen to the director’s commentary or dig deep and purchase the 3D version. It is about time the mouse house stopped using special features to segregate their blu-rays.